Facebook World Ka No1 Social Site He. Facebook Pe 2 Billion+ world wide User's Hai. Facebook Per Page Aaj Kal Bahut Popular Hai. Koi Bhi Facebook User Page Create Kar Sakta He. Or User's Page Create Kar Bhi Rahe He. Facebook Pe Millions of Page Available He. Par Problem Yeah Hoti He Ki Facebook Page Par Likes Nai Aa Rahe Hai, Yeahi Sabse Bada Question Hota He Sabhi Facebook Page Create ka. Facebook Page Par Likes Hona Bahut Important He. So Yeah Post Me Aap Janege Top best Free way for Increase Facebook Page Likes 2017. Yaha Jo Tips He wo Me Apne Experience Se Share Kar Rahe hu. Or Yeah All ways Me Try Kiye Hue Hai. Yeah Garunty Nahi He Ki Ise Aapke Page Pe Millions of Like Aa Jaye Par Yahi wo Tips He Jispe Aap Puri Mehnat Karoge to 100% Real Likes Fast Increase Hoge.Jo 1 Page Ke Liye Bahut Important Hote He. Yeah Sabhi ways 100% Free hai. First Apne Facebook Page Ka Acha Neme, Category Select Karke Page Create Kare. Page Create Karne ke Baad Attractive Profile Picture & Cover Photo Set Kare, Page Description Me Page Ke Baare Me Likhe. Page Ka Custum URL/ Page link Address Bana Le. Example: https://m.facebook.com/IPLVV/ Itna Karne Se Page Completely or Attractive Dikhega Jise Page Pe Aane wale User's ko Acha Lagega to Like Karne Ke Chanch Badha Jate He. Time Time Par Page Profile Picture or Cover Photo ko Update Kare Or Jitna Ho Sake Jyada Attractive Banaye. Facebook Page Banane ke Baad First Ways Yahi Hota He Ki Aap Apne Sabhi Facebook Friends Ko Page Like Karne ke Liye Invite Kare. Aapke Facebook Account Me Jitne Friends He Sabko Invite Karke Starting Me Ache Like Gain Kar sakte He. Aap time time pe New Friends Ko Invite Karte Rahe, Facebook Page Link Ko Share Karke Aap Other Social Site Pe Friends Invite Kare Ex. WhatsApp, Gmail, Twitter etc. Facebook Page Par Likes Badhane Ke Liye. Regularly Latest Post Update Karna Jaruri He. Aap Page Neme, topic Se Related Sabhi Tarah ke Post dalte Rahe. Jyadatar Aise Post kare Jis Pe Comments Jyada Aaye ex. Who is Best cricketer ? Who Is Best Singar ?, Who is Best Bollywood Star ? Etc. Is type ke post Aap Apne Page Topic ko Dhyan me Rakhke kare. Har Topic Pe Aise Post He Jo Jyada Comment Gain Kare. Post Me Photo use karna na bhule. Comment Jyada Aayege to Aapka Post Facebook Par Viral Ho Sakta He. Jise or new people tak Aapki Post Jayegi Ab Jitne Jyada Log Post ko Dekhege Like, Comment ,Share Karege to Page Par Bhi Likes Aayege He. 100% Yeah Mera Experience Hai. Aise Topic Aap khud Bhi Soch Sakte He Or Facebook Par He Lot's of aise Photos Or Post Mil Jayege Jis Pe Comments Ki Baarish Hoti Hai. Agar Aap aise viral topic Janna Chahte He To Is Post ko Read kare. Jab Hum Facebook Pe Photos, Post Dalte He To Apne Friends Se Tag Karte He. Aapko Pata Hoga Ki Tag Karne Se Jyada Likes Aate Hai. Bas to Jab Bhi Aap Apne Facebook Page Pe New Post, Photos Update Kare To Jarur Tag Kare. Ise Directly Post Pe Like Comment Aana Suru Ho Jayega. Jaise Aapke Personal Post Per Aate Hai. Facebook Pe Maximum 50 Friends ko Tags Kar Sakte He To 1,2 Day Baad 50 Tag Ko Remove Karke New 50 Friends ko Tag Kare. Ise Hamare Post Pe Or Naye Log Aayege. Ab Log Sirf Post Par He Nahi Rahege Page Ko Bhi Visit Karege or Fir Likes Bhi Kar Le ! Facebook Page Pe Aap Post to Kar Deng Par Ise Share Karna Bahut He Jaruri Hota He. Is ke Liye Aap Facebook Pe Apne Page Related Groups Ko Join Kare. Aise Group Join Kare Jo Active Ho or Bahut He Jyada Member's Ho. Minimum: 10,000 Maximum: Unlimited. Aise Group Join Karne ke Baad Aapne Jo Post Page Pe Daala He use Sabhi Groups Me Share kare. Ise Bahut Jyada Page Likes Aapko Milenge. Mere Experience Se Yahi Best Tarika He Facebook Page Likes Increase Karne Ka. Ex. Aapne Koi Aaisi Post Dali Jispe 100% Comment Aate Ho. Ab Aap Ise Group Me Share Karege to Uspe Unlimited Comment Milenge. Jitne Active Group Hoge Utne He Jyada Comment Aayege, Ab Aapki Post Group Me Top Par Aa Jayegi or Group Me Agar 100,000 Member He To Socho Kitne Comment Aa Sakte He Or Ise Bahut Se Log Page Par Visit Karte He Or Page Ko Like Kar Dete He. Me Yahi Tarike Se Page Pe Likes Gain Karta Hu. Sharing Is Most Powerfull. Sharing Ke Liye Aap 2,3 Ids Ka Use Kare To Or Bhi Better Hoga. " Jitna Jyada Sharing Utne He Jyada Likes Aayege Page Par"
Share 4 Share Ka mtlab Hota He Aap Mere Page Ko Apne Page Pe Share Kare Or Me Aapka Page Mere Page Pe Share Karunga. Yeah bhi Acha Tarika He Facebook Page Likes Increase karne Ka. Iske Liye dono Parson Me Trust Hona Jaruri He. Share4share ko Short Me S4s Kahte Hai. Ise Ache Likes Increase Ho Sakte He. Jitne Active or Bade Page Pe Aapka Page Share Hoga Utne He Jyada Likes. S4s Se Aapko Jo Page Likes Milte He wo Real Likes He Hote He kyoki 1 Page Ke Likers, Visiter dusre Page ko Like Karte He. Share 4 Share Karne ke Liye Facebook Pe Bahut Se Group Available He. Aap Facebook Pe Share 4 Share Facebook Page, S4s Search Karke Join Kar sakte He. Yaha Group Me Aapko Aise Parson Mil Jate He Jo S4s Karne ke Liye Aapko Offer Karege Ya Fir Aap Kisiko Offer Kar sakte. Aapke Pass other Page He To Use bhi Aap ek Dusre Pe Share Kar sakte Hai. Agar Aap ke Pass Koi Blog Ya website Hai to uspe Apne Facebook Page Like Ka widget Jarur Lagaye. Jise Website Visitors Facebook Page ko Like Kar Sake. Aapka YouTube Channel He To Apne Sabhi Video Ke Description me Facebook Page Like Daale Or Apne Viwers Ko Page Like Karne ke Liye Bol Sakte Hai. Yeah Tips only Blogger Or YouTuber's Ke Liye jyada Helpfull Hai. So Yeah The TOP 7 Best Tips For Increase Facebook Page Real Likes. Waise or bhi Raste He Facebook Page Likes Increase Karneke Par Yaha Free, Important & Real Likes Badhane ke Tips Share kiye Hai. Is Liye Is Post Me Auto Likes, Paid Likes ki Baat Nahi ki Hai. So I hope yeah post Aapko Pasand Aaaya Hoga. Agar koi Question He To Comment Kare Or Post ko Share karna na bhule Apne Sabhi Facebook Friends Ke Saath. Facebook Pe Blank Bina Neme Group Kaise Banaye ? How To Make Facebook Id Viral ? 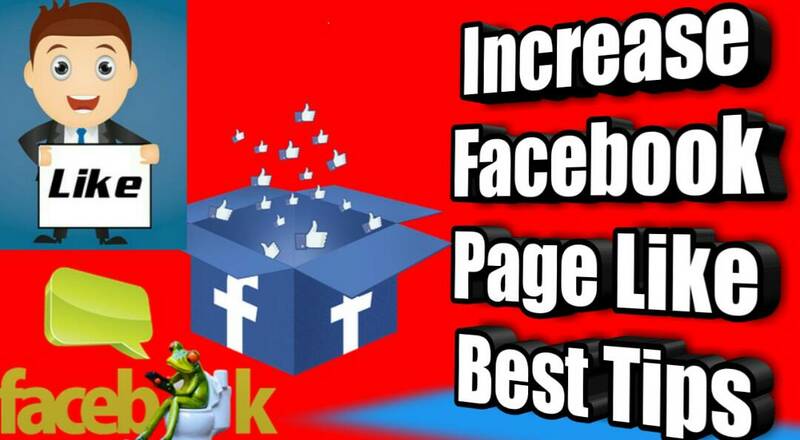 0 Response to "TOP 7 Best Tips How To Increase Facebook Page Likes ? Get Real Likes Fast & Free Hindi"